I have probably read a grand total of 3 books this summer. I am woefully behind on my Goodreads challenge and might not complete it this year. But, it’s that time of year when I’m in the mood for feel-good holiday romances that’ll hopefully pull me out of yet another reading slump. So, here are the top 3 Christmas romances that are on my TBR list that no longer exists. One Hot December by Tiffany Reisz – This entire holiday themed series is just perfect! And the free novella prequel Ian’s Dream Girl has me anxious for the whole story. Holiday Temptation by Farah Rochon, K.M. 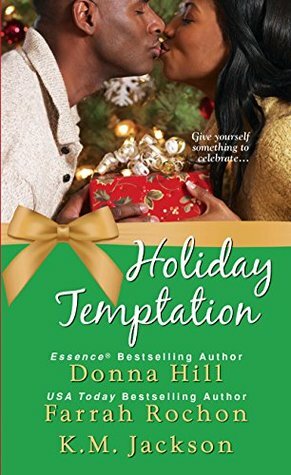 Jackson, Donna Hill – THREE holiday novels in one! FYI, last year, when I needed to satisfy this craving, Farah Rochon’s books totally did it for me. Looking forward to snuggling up with all three of these authors. The Trouble with Mistletoe by Jill Shalvis – It’s Jill Shalvis + Christmas. I can’t wait!